Spring is a stupendous time for science studies! Help your child learn about weather, plants, animals, and life cycles with these blossoming spring science worksheets. What Do You Wear in the Spring? Splish, splash! It's a warm spring day, but a rain shower is on the way! 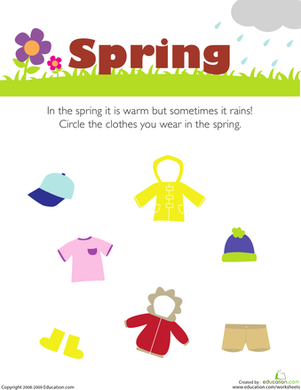 Kids completing this reception science worksheet circle clothes for spring weather. 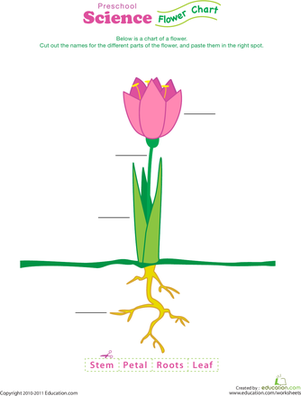 What does a plant need to grow? Just like us, plants need food, water and air! Help your child understand more about plant life. 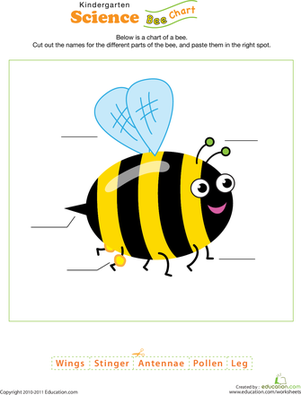 Use this fill-in-the-blank chart to see how much your kindergartener knows about the parts of a bee. Budding botanists can master the different parts of a seed with this helpful diagram! This worksheet about animals and their homes will introduce your child to life science. This worksheet teaches early recognition of animals and their homes. Your child has probably tried a potato, but does he know the process it goes through to make it to the table? Find out with this life science worksheet. These babies have lost their mamas! Can you help them? Use sorting and categorizing skills to match the baby animal to its adult form.